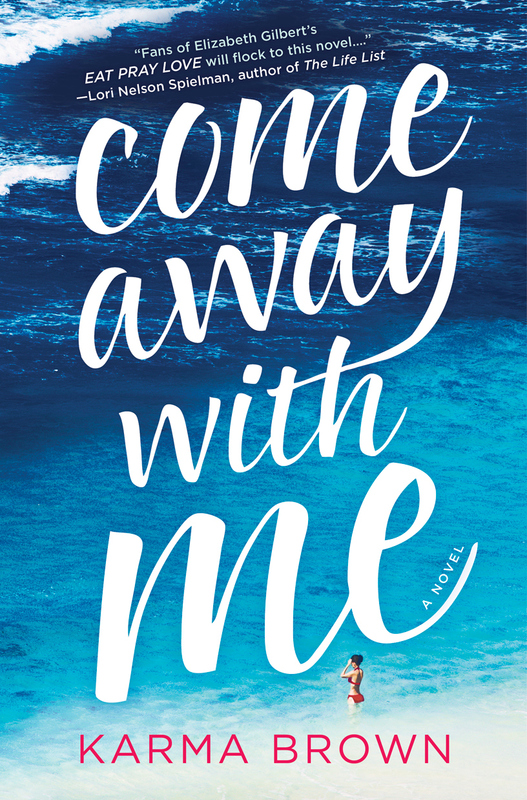 Like my fellow Deb Amy, I sort of put off reading COME AWAY WITH ME for a while. I knew, with the inciting incident, that it would weigh heavily on me, and, of course, that crying was inevitable. I also knew that once I started reading it, the book would consume me. I wouldn’t be able to put it down. And of course I was right there, too. This is a tear-jerker, to be sure. But fundamentally, it’s a book about getting past that trauma, of putting yourself back together once shattered. It’s also a riveting story that will keep you flipping pages at a clip, trying to keep up with what will happen next in the imploding relationship between Tegan and Gabe. Can this ship be righted? Or is it a goner? More importantly, can Tegan ever feel whole again? Here are five reasons I wasn’t able to put this book down – and you won’t be able to either! 5. Gabe. I know that Karma borrowed from her real-life love here a bit, and perhaps that’s what makes Gabe so real and so sweet. He’s got a hard road ahead, but he stays the path, willing, no insisting, on making it work. He’s the steady hand Tegan needs to recover, even if she does keep pushing him away. 4. Oh, the places you’ll go! The journey Gabe and Tegan set out on is one that takes them to Thailand, Italy, and Hawaii. She stuck to places she’s actually visited, and you can tell in the way these locales come alive through Karma’s writing. The sights, the culture, the food! If you can’t get away soon, pick up this book and you’ll certainly feel like you have. Also, the very act of traveling with someone is life-changing, no matter what. You can think you know every minute detail about them, but you don’t really know them at all until you’ve suffered squat toilets and Delhi belly together. 3. The Writing. There’s a richness here in the details, the way Tegan absorbs the world – the story gives us insights into the past and the present, and while she’s still the same person, there’s a definite divide there, a gaping before and after. You feel it. 2. The Spontaneity Jar. Navdeep and I have a jar, too, but it’s dedicated to dropping in spare change (and the occasional $50) for future travels – i.e., saving for a rainy day so we can leave town and go somewhere sunny. But this is a Jar whose time has come – and it shouldn’t take a tragedy to make most readers realize it. If you’re not inspired to keep your own jar – or at least a bucket list – by this book, well, then I don’t wanna know you. 1. That TWIST. OMG. That is all I’m going to say about that. Read the book. You’ll thank me later. That is all. Thank you Sona! It’s been so awesome to read what you ladies have said about the book, because the things you’ve picked out have been things I hoped would land with readers 🙂 I’m so glad you have your own jar — we all need a jar!